Early Bird Flights To Ireland From $1435 Return - 2 Days Left! Early Bird Flights To Ireland From $1435 Return – 2 Days Left! We are always on the look out for great flight deals and we regularly use British travel for flights home and of course the occasional trip to Bali. There is a massive early bird sale on for Qatar, Emirates, Etihad and these amazing fares will disappear as of 5pm 19 November. Unbelievable prices. Fly to Ireland from $1435 return. [email protected]. 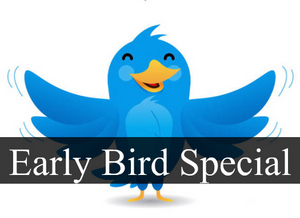 Early bird Airfare’s expire 19 November 14. Below are just an example of flights if you are looking for alternative dates just give them a call or email. They are on WA time. Other dates and prices available on request.